Last fall I lost my Italians to robbing. Mostly because it was my fault. However, I learned a few things and this year I decided to buy Carniolan bees. They tend to be a little more hardy through our cold winters here in Utah and are docile like the Italians. I have completely enjoyed keeping bees. 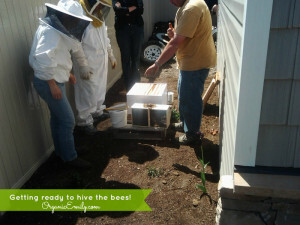 One or two hives is very low maintenance and that’s exactly what I need with all my other projects going on! 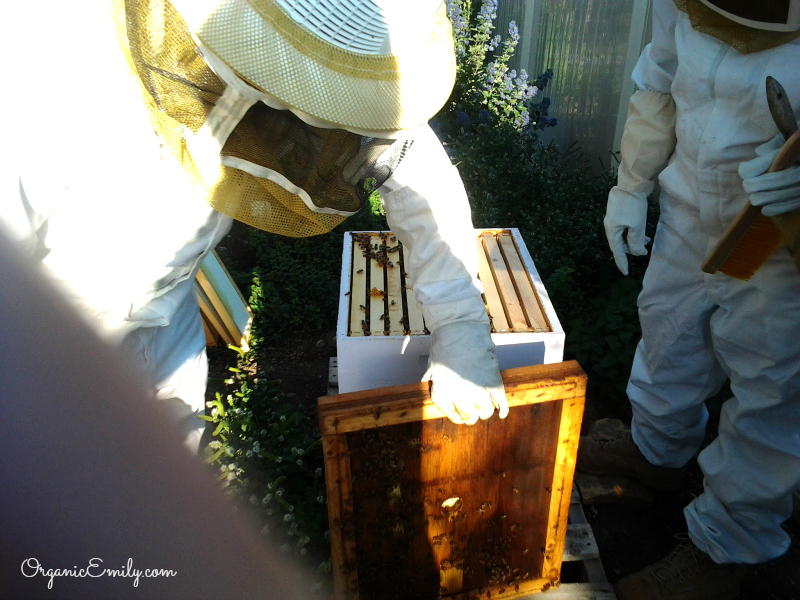 This post is all about the basics of beekeeping for anyone who might “bee” interested in keeping bees. The first initial investment is the most costly, after that it’s free and clear as long as those bees stay alive! Bees live for about 6 weeks. It takes 21 days from the time the queen lays an egg to the time the bee becomes an adult. Once the adult bee emerges from her cell she begins immediately to clean her own area. As time goes by the bees take on different jobs around the hive the older they get. Taking care of the young, cleaning and feeding the queen, fanning when hot, transfer of nectar, making wax, some will become guard bees and eventually forage towards the end of their lives. they literally work themselves to death! The queen lays up to 1500 eggs a day. Maxing out at peak season of 60,000 bees per hive. The difference between a queen bee and a female worker bee is that she is fed royal jelly from a gland found within the nurse bees head while developing in her cocoon. This ripens her ovaries and changes the shape of her body. She will then mate with hundreds of drones or male bees (1 male to every 100 female worker bees in the hive) hundreds of feet up in the air. If she is well mated that will be all she needs to lay tens of thousands of eggs for a good 5 years or so. 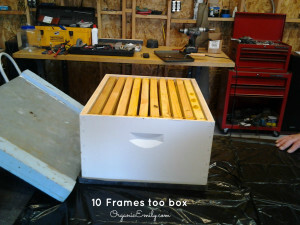 I use a Langstroth rectangular box to hive my bees. It is easy to get into and allows more room than a Top Bar hive would, producing more honey. For the purposes I keep bees, the Langstroth box works best. Here is an example of the rectangular box with 10 interchangeable frames. The bees are very particular about space and dimensions. They like everything to be about 3/8 inch apart. Anything bigger than that and they will just fill in the space with wax. There are many different places and sources to buy or make your own boxes and frames. Jone’s Bees is a local example of where to get equipment and packages of bees for the Salt Lake area. I believe IFA is also selling equipment as well as packages and nukes (bees that come with frames that have already been drawn with wax). 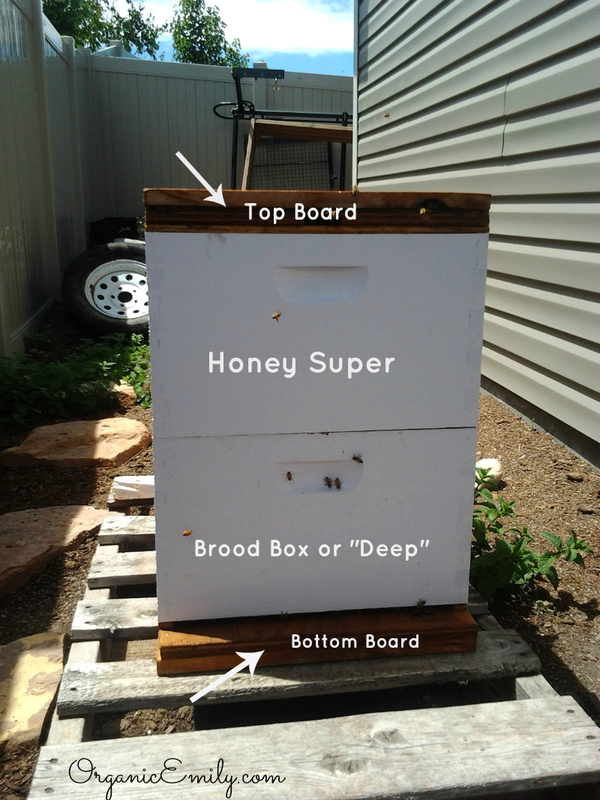 For the hive you are going to have a basic set up of a Bottom Board (I suggest screened bottom board to allow ventilation, this is one of the most important things you can do for your bees year round). Top Board (some come with an inner cover unattached and others come with the inner cover sealed to the outer cover). I have the inner cover with outer cover sealed together. I honestly don’t think it matters. 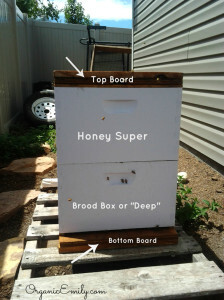 Honey Supers (anything above the brood box). Frames (usually 10 to each box). Partitions are good to have to help close off the entrance to the hive to keep robbers from creating a full out war! It looks similar to a ruler and is 3/8 of an inch thick and as long as you need it to be. Here is a picture of a frame with dark wax. 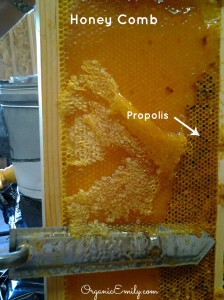 Propolis (plant sap) is what gives the wax a darker color. It is a brood frame and is used to lay eggs and keep the babies healthy because of it’s anti-fungal and anti-bacterial properties. 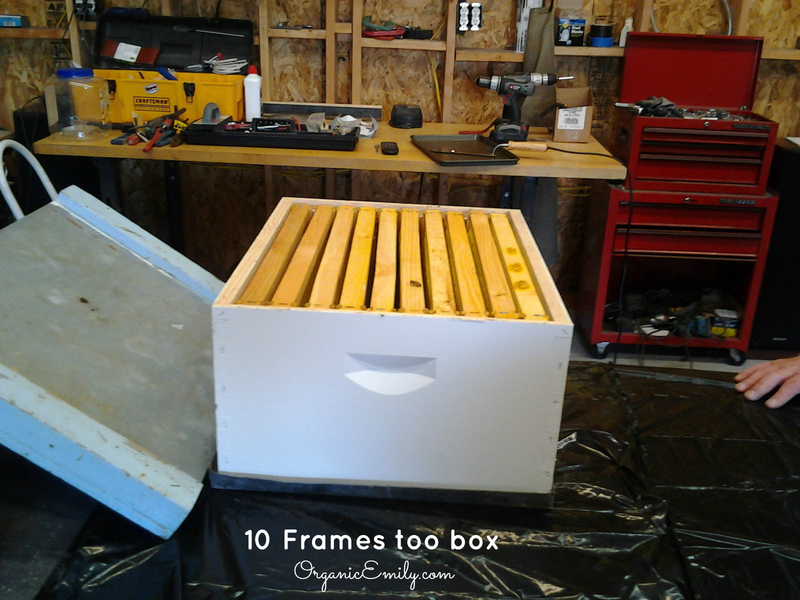 If you can find someone that would be willing to give you some brood frames you are off to a much faster start to producing honey and strengthening the hive. 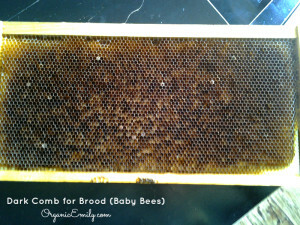 It will take up to 3 weeks just to draw out these combs and get the frames ready for the queen to lay. 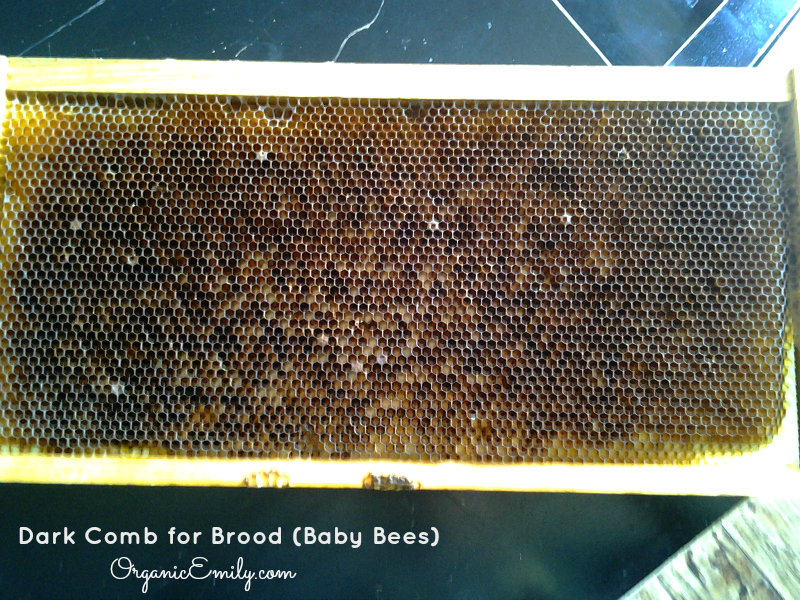 When checking the hive to see how production is coming along look for 4-5 frames of capped brood. This is a good indication that the queen is doing well. I do not get into my hive more than 1-2 times a month once I feel like the queen is well established. Here is a picture of comb that is a creamy white color. This is used for honey! 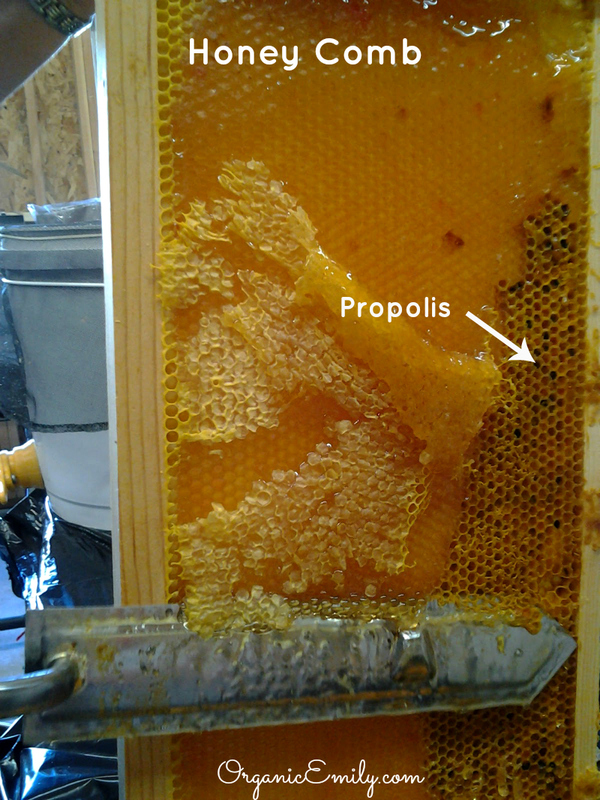 You can also see off to the right they have stored propolis inside the combs to help feed the colony during the winter (good source of protein too)! We are using a hot capping knife to release the honey, getting it ready to be extracted from the frame. 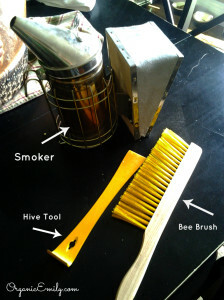 You will also need a smoker, bee brush and hive tool. The smoker is really needed from the first part of July until you harvest your honey. They have more to protect so be sure to wear your bee suit! I prefer to wear a full body suit. It just makes me feel better and more relaxed! Good materials that are used to produce a cool smoke are wood chips wrapped in burlap. They really only need a few puffs at the entrance and then again as you open things up completely. The bee brush is used to gently brush off any bees that may be on the frame you are inspecting. Remember, move slow and gentle and they will hardly know you are there. The hive tool is probably the most important tool you will need. I use it for opening up the hive, pulling apart glued (propolis) frames and stoking the fire in the smoker. Bees don’t like to be smoked a lot. Try making some sugar water of a 2:1 ratio and putting into a spray bottle. Mist them gently and as you work they will busily lick the sugar off their bodies. I do however, use the smoker when the time gets closer to harvesting honey. 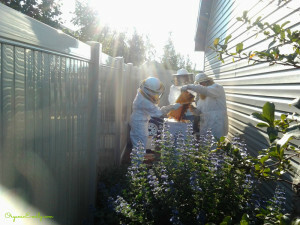 Below is a picture of my first time hiving bees. I highly recommend getting a mentor your first year to help guide you through the beekeeping process, it will definitely make things a lot easier and less stressful! You can see the bees in their package. It’s a screened shoe box filled with about 4lbs. of bees. The queen is in her own small cage until the other worker bees become accustomed to her smell (she wasn’t their original queen). There is a candy cork that keeps her separated from the other bees for a time so they don’t kill her. Once the candy cork has been eaten and they are used to her, she gets straight to work! At the top of the cage was a can of sugar water to feed them for their trip home. Once removed the bees are ready to be hived. The bees need to be supplemented with sugar water in the spring especially if you chose not to leave them enough honey to get by on their own. I have personally decided to leave 8 frames of honey for my girls to get through the winter. Place ingredients in a large pot over medium high heat until the sugar is dissolved. Add 20 drops each of lemongrass, spearmint and lavender essential oils. I use a one gallon bucket with a lid that has a few small holes poked in it that allow the bees to feed off the sugar water. Place it upside down over a hole drilled into the top and inner covers to allow access for the bees. Knight Family Honey in Orem has a good cover perfect for this type of feeding method. I prefer it over other methods because it isn’t messy, the bees won’t drown in it and they won’t be robbed. The holes should only allow one drop of sugar out at a time. Use of an entrance reducer is recommended also. One last important thing to provide for your bees is a constant water source. 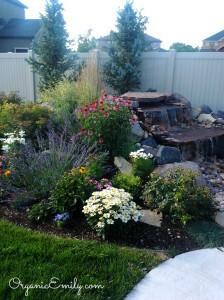 Make sure it is close by and not your neighbors swimming pool, because once they establish their water source they will always stick with it! 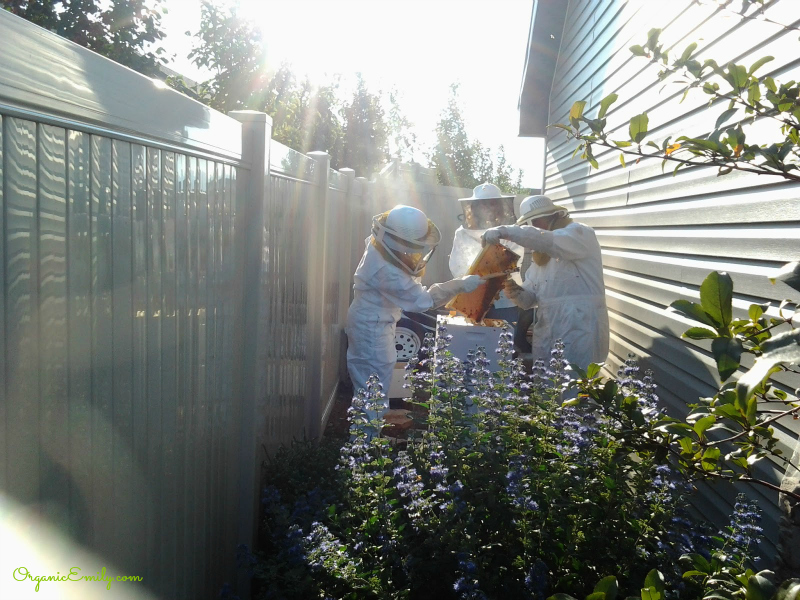 As you continue to learn more about beekeeping there are many people out there who will tell you all sorts of things that work best for them. The only way to figure out what works best for you is to jump in and just do it! I tend to go the more natural, organic route without medicating my bees. But, that’s just me! Again, I can’t emphasize enough about getting a mentor! You will be much happier and at greater ease as you learn how to work with your girls. Remember, bees don’t like loud noises, they don’t like to be squished and they don’t like their honey to be taken from them! Move slow and gentle and don’t walk out there wearing dark colors! They will think you are a bear and they won’t thank you for it! They aren’t interested in stinging you because they know they will die. They want to do all they can to provide and thrive in their colony. Oh ya, and be sure to take a shower before inspecting the hive. They don’t like stinky smells either! Please feel free to ask any questions. Happy beekeeping and gardening!